My son and I recently joined a ‘Battlefield Tour’ run by Leger Holidays. We stayed at the Hotel Alize for three nights – in the Belgian town of Mouscron. We started our tour in the Ypres Salient at Sanctuary Wood and walked along trenches where our soldiers had fought. Craters from various shells remain as do a few bullet-ridden trees, covered in poppies and crosses of Remembrance. 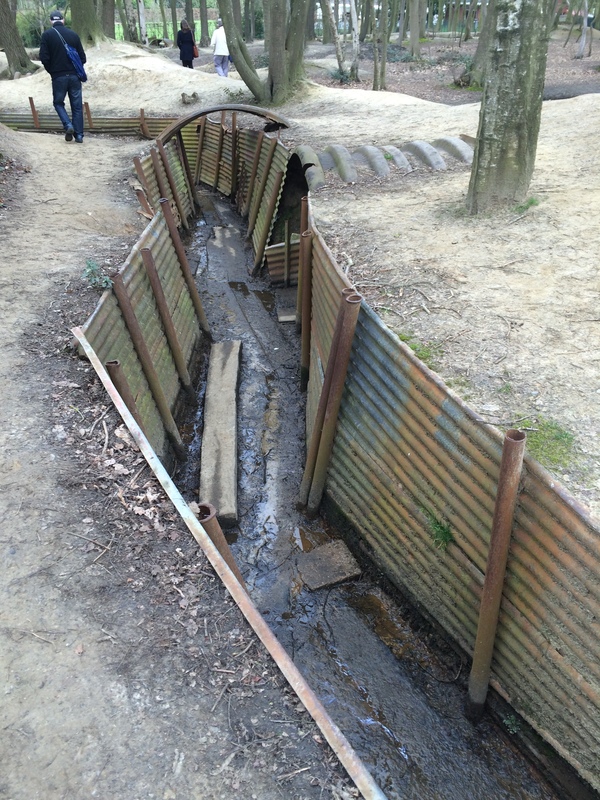 We then looked round the battlefield on Hill 60 and Hill 62. The day included a visit to the Tyne Cot cemetery which held row upon row of beautifully tended graves, some with no name. We visited a small museum where personal mementos and letters were displayed, along with the names of the dead, their ages and their photographs. We were mesmerised and found it hard to tear ourselves away. Tyne Cot is the world’s largest CWGC cemetery with 12,000 burials, A further 35,000 names are engraved on the memorial whose bodies were never found. We also visited the Langemark German Cemetery which really was sombre and dark and the Brooding Soldier monument built in honour of Canadian soldiers who had encountered the first German gas attack. 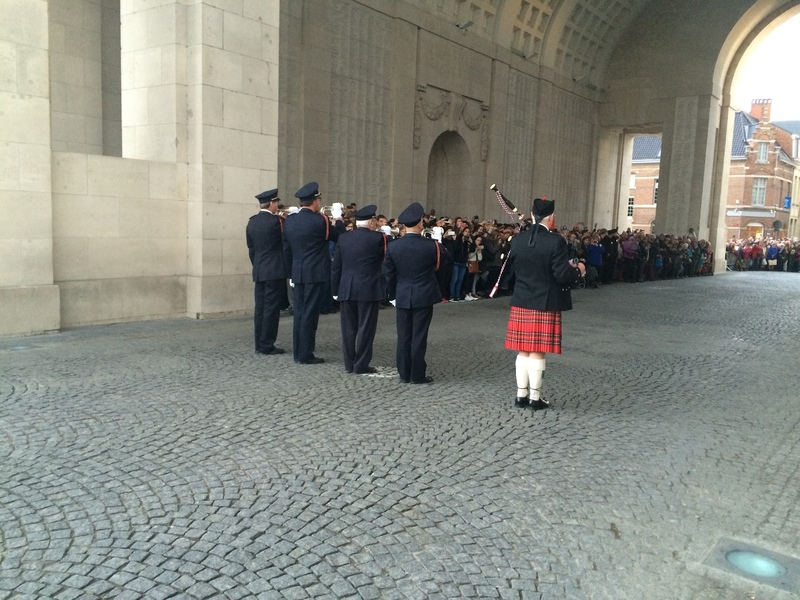 Our day ended in Ypres where, every evening at 8pm, the Last Post is sounded by buglers at the Menin Gate. 55,000 names of soldiers who have no known resting place are recorded here. Standing there and listening to the Last Post being played, while the crowd were totally silent and as we looked at all those thousands of names engraved on the walls, was a moving and unforgettable experience. 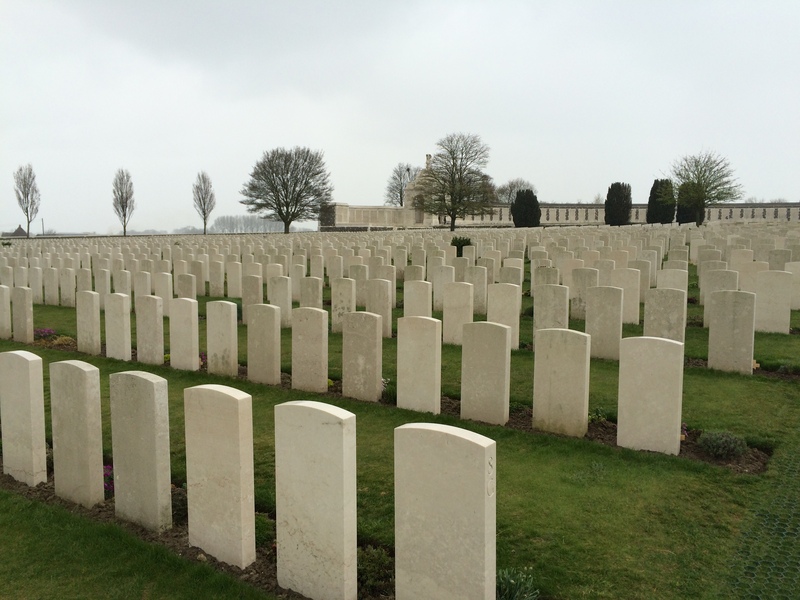 On day two we visited the Somme and walked in the footsteps of a lost generation. Along the route can be seen unexploded shells, which are being found by local farmers when their fields are ploughed. Our journey took us to Newfoundland Park and then to the Lachnegar Crater – the largest crater on the Western Front. A visit was made to the Thiepval Memorial to the Missing. 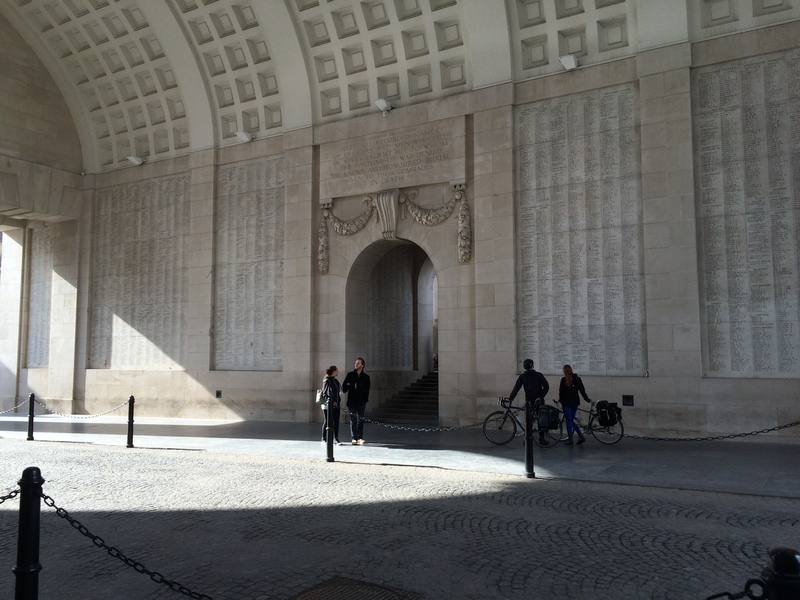 72,000 names are inscribed there, 90 percent of those listed, died in the 1916 Battle of the Somme. 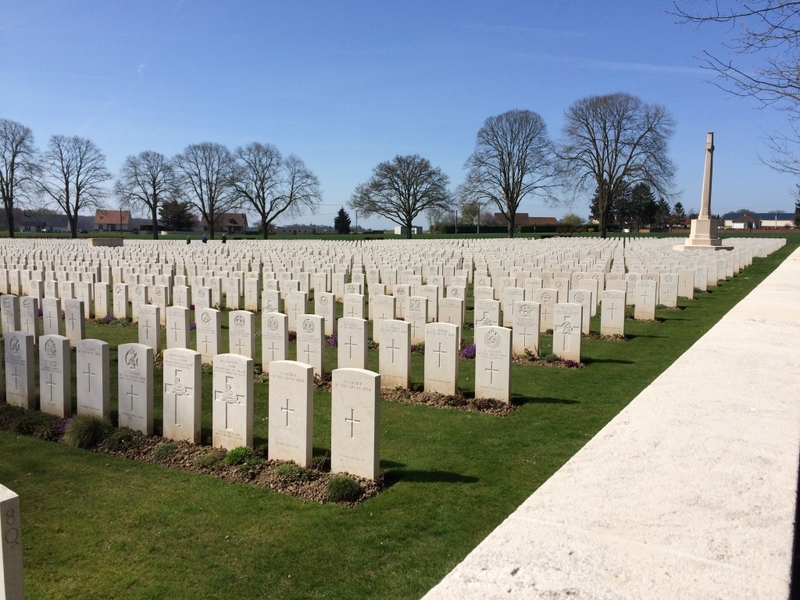 During our tour, we visited many Commonwealth cemeteries created for the fallen of WW1, all of them are filled with English flowers and, thanks to the War Graves Commission, are kept immaculately as lasting monuments to the fallen. Even though our itinerary stuck to a tight schedule we managed to find a few names from the Nether Alderley War Memorial. These discoveries helped to equate those men to their lives, occupations and families, before they went on the one-way trip to France & Belgium. All in all a trip we will never forget!